Is it summer or spring where you live now? Yes, I know what I’m asking, but answer it honestly! it’s spring, but it’s nearly 90 here. I’d hardly call that spring. As far as I’m concerned, it’s summer. Maybe not for my northerners, but it is here! didn’t know exactly how I wanted to arrange it. 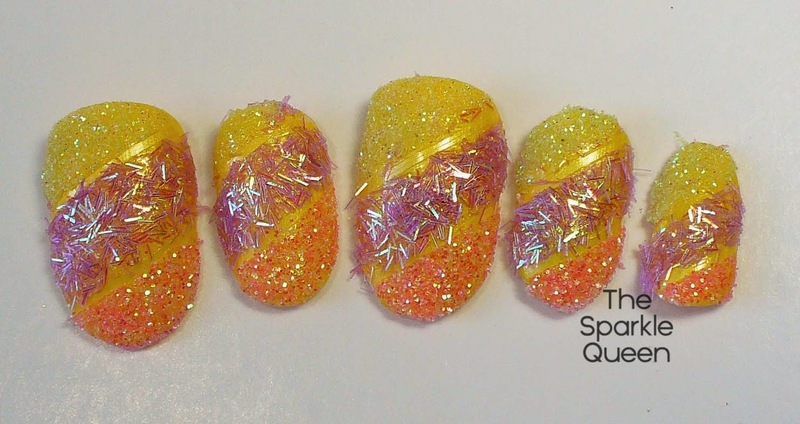 striping tape and try something with that. look super cool with lots of rows on longer nails. What do you think? This is so festive! 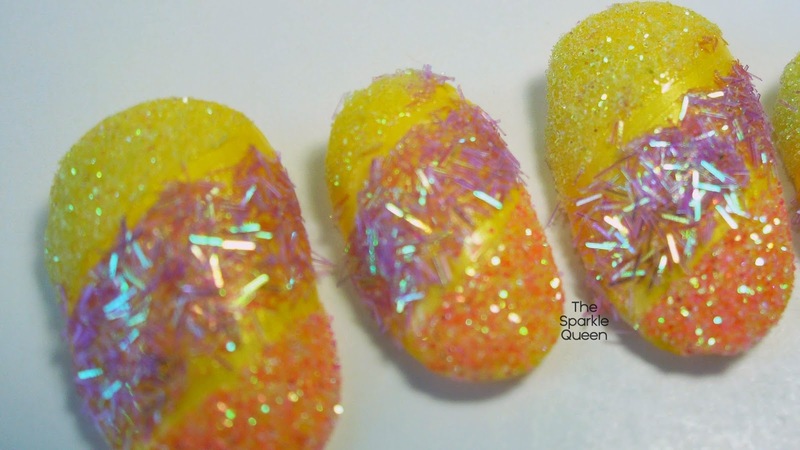 And this mani explains why you're called the Sparkle Queen! Yes, it's summer here in North Florida too lol. Love these sparklies! It's like a glitter piñata! You just know that if you hit it just right it'll rain sparkles down on your head! Thank you! 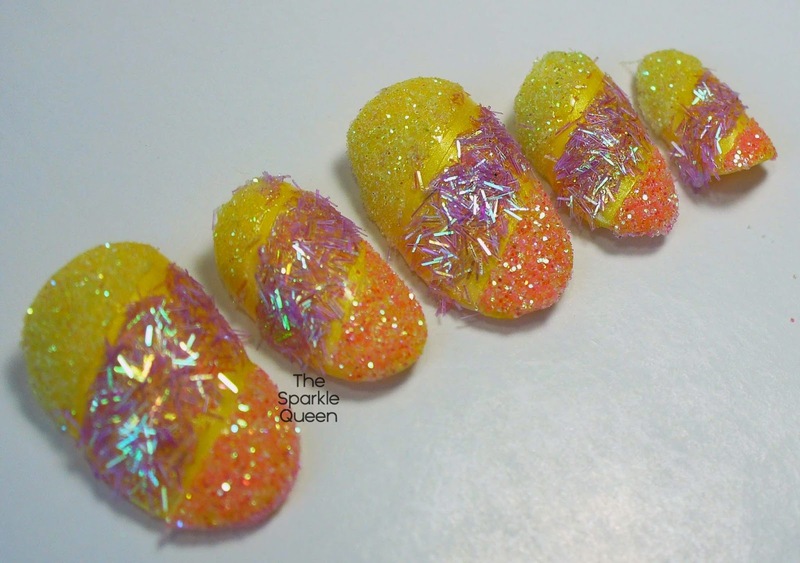 I'm a huge fan of glitter-texture on nails! It's spring here, but even though I'm up in Philadelphia, we're going up to 90 this week! After such a brutal winter, this weather is crazy! That's what all my northerner friends are telling me! One was saying (earlier this year) It could be 80 out one day, and nearly 50 the next! That is SO odd. Hopefully this doesnt mean a bad hurricane season….fingers crossed!